Category 4 Transportation Enhancement funds are for scenic or historic highway programs, including the construction of overlooks. The Old Falls Scenic Overlook Park in Fallsburg, New York, is popular with travelers passing through, seasonal visitors, and locals. The seasonal visitors include New York City residents, including many Orthodox Jewish families, escaping the urban heat to attend retreats and summer camps in the area. 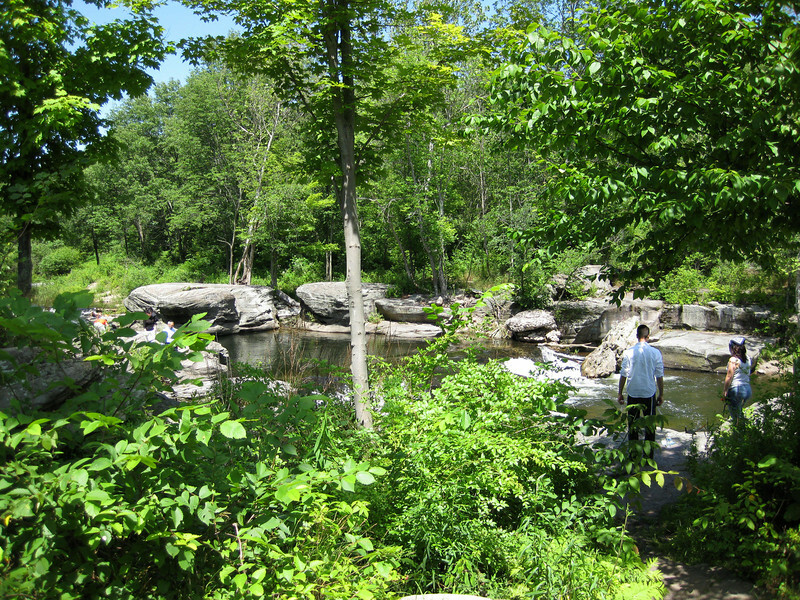 Many local residents recall the Old Falls as a favorite site for swimming and scenic views. A $227,400 TE grant in 1996 enabled the town to demolish the remains of a burned building and replace it with an octagonal pavilion that provides excellent views of the falls. Visitors pause at the overlook to enjoy the view, relax, use the restroom facilities, make phone calls, eat local ice cream, and take photographs. The completion of construction in 2000 restored the spot to a condition consistent with its beauty, popularity, and place in local history.